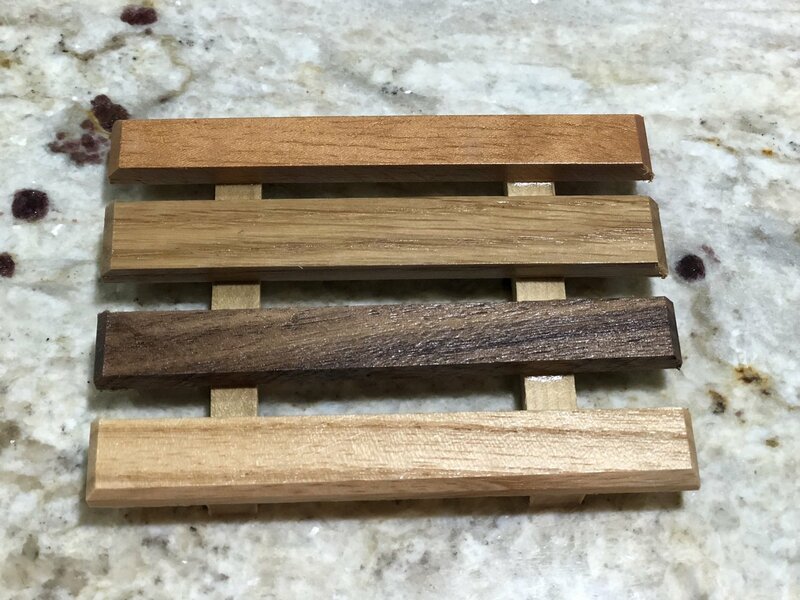 Product details: Handmade slat-type soap tray, finished classic look made with reclaimed wood. Trays are handmade so there are slight variations to each one. They look beautiful packaged together with your soap as gift sets. To extend the life of your handmade wood soap dish, it is encouraged to use these in pairs and after 2 to 3 weeks, gently wipe clean and let sit aside and completely dry out. Switch each 2 to 3 weeks and allow each to dry out completely between uses. Allowing them to completely dry out will prevent mold or mildew from developing and help preserve the wood from becoming waterlogged or rotting.